This energy-efficient 3,000 sq. 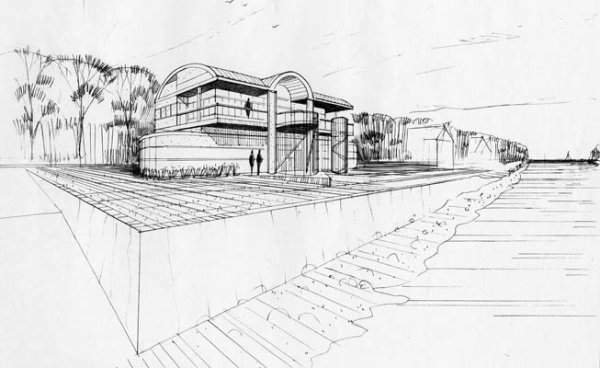 ft. residence is located on the edge of the Ohio River in southern Indiana. The first floor is elevated above the 100-year floodplain on a 14-foot concrete wall designed to withstand the impact of logs during flood season. The home’s observation windows and decks allow the owners to share in the changing panorama of the mighty river at their feet. Posted in Residential, Sun-Earth Homes. RSS 2.0 feed.